Time to buy a Chrysler or GM car? If you're looking for a new set of wheels, there are lots of deals out there - as two of the big three automakers close thousands of dealerships around the country. 789 Chrysler lots have a deadline of June 9 to unload more than 40,000 cars and trucks. The dealers have to sell the Chryslers, Dodges and Jeeps before then - or risk losing thousands of dollars. Chrysler, which has filed for bankruptcy, doesn't have the money to buy back the vehicles. But the company says that dealers being cut will get warranty reimbursement and sales incentives like rebates and low-interest financing until June 9. After that, they won't get either... and that's why dealers are in a hurry to sell, even if it's at a loss. 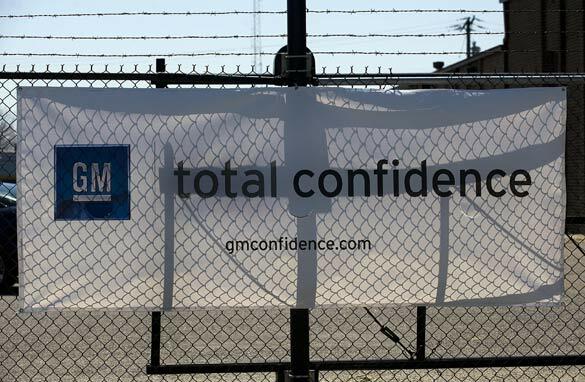 Over at General Motors, the situation isn't quite as bad - at least not yet. Although the company is cutting 1,100 dealers, GM isn't in bankruptcy yet so dealers have more options. They also have more time to sell their cars - and the company is still required to buy back some of the cars and trucks. Experts say before going to a dealership, you should find out about incentives and other deals, and make a low-ball offer. Of course - People can wait until the deadline gets closer and dealers are perhaps even more desperate - but keep in mind that inventory could be lower then and you may not get your first choice. Here’s my question to you: Is now the time to buy a Chrysler or GM car? These companies standing shoulder-to-shoulder with the president to tell me they are being coerced into doing what Honda and others have been doing for 20+ years is hardly the day to run out and buy one. When the guys in Detroit really come to understand that making an affordable green car requires more than changing the paint color, give me a call. Too late for that, Jack. I am already driving a GM vehicle. Besides giving me good service, I have found it to be a much better vehicle than any other as it is paid for. Don't buy so quickly. Look before you leap. I have a 2007 Buick and have been waiting for a $29 motor mount since late January. The dealer is still saying the part will be here by late May. We'll see. I imagine there will be some real bargains offered up, but I'm not sure how that whole warranty thing is going to work. I'd be hesitant to buy one right now. What’s that old adage? If it's too good to be true, it probably is. I worked for Toyota for 6 years and their business model, product and treatment of their employees far exceeds that of American brands. Toyota and Honda sell more cars in the U.S. with fewer dealers. Americans are moving away from the era of the savings, rebates, interest rates and other incentives to wanting fuel economy, technology, reliability and resale. The American brands knew what would happen if they did not change in the 1970s, but instead tried to put profits ahead of principle and now have run out of countries to outsource to. Time to buy a Ford. Let's not forget who didn't come to the table for taxpayer cash. Great time to buy! Keep it in mint condition and in 20 years you'll make a killing on eBay: "Pristine example of America's squandered industrial greatness." Yes if you have a job. No if you don't have a job. Toyota is the vehicle for me. No, thank you. Our medical system is a mess, but it is also everywhere else. If you can afford to travel abroad for medical care, you can afford to pay for it in the United States. Only if you are in to collecting JUNK! Well Jack so far I would no go for none of those two. However I would go for Ford. We have to start buying American made products that have the 100% parts and service 'til kingdom come. If I could afford one, I would, especially if the price was right. I imagine there will be some real bargains offered up, but I'm not sure how that whole warranty thing is going to work.......I'd be hesitant to buy one right now. Jack, we have a lemon sitting in the garage that Chrysler produced long before the current situation. I may be slow in some areas but would be very hard pressed to buy an American made vehicle again with the lousy performance we've had on this one and beside all of that, we cannot afford to buy a new vehicle of any kind. No. The cars are flat out inferior to imports. Also, the "buy American" mentality isn't working here - which of the following is the "American" car? 2. The Hyundai assembled in Alabama? That time was a long time ago and it's probably too late now. Chances are that if you buy a car from either A: it'lll be too late to do anything about the mess they're in and B: in a couple of years there might not be a company around to make replacement parts for the cars. It's a social trap in a too-little-too-late scenario. No one in the right mind will buy a Chrysler or GM car. The Auto Unions have dug their own grave. Most dealers are going to be motivated to liquidate the inventory and, in theory, the quality of domestic cars is the same as foreign, so why not make a deal? What if all those quality comparisons are false, and there is no one around to backup the 5 year/100,000 mile warranty the other guys give you? We are one of the only countries in the world capable of being completely self sufficient. The mismanagement and greed of narrow sighted corporate executives is only matched by the buffoons in Washington that allow our country to continue to be looted and pillaged from the inside out. The Chinese will build our tanks and planes and fuel them with middle eastern oil. Our ingenuity and innovations will be stymied by blind politicians and jurassic CEO's that lack vision. Eh, buy it with what? Chickens, bushels of corn, pecks of apples? The last administration destroyed the middle class and now we're shopping junk yards for parts. No. Just because they're going under doesn't make them better cars. They're going under because foreign cars are just plain better and they mismanaged all their money from previous cars. Maybe if they changed both things, people will start to buy again. Right now, no one trusts them. And for good reason. If I currently had a job and some money, I would certainly consider it. GM has some good models in their line. OK, first American cars in general are good cars, secound getting help from an overseas car company is fine, Fiat has a line-up of great cars with very good gas mileage: however when GM buys commie cars from commie China, thats it, What a slap in the face to Americans and the UAW. SAME ON GM. The American auto makers have lost me. They have built the autos that the American public demanded and failed. Then, they blamed their mismanagement on the workers/union, so that they could bust the union. It is a shame that Obama believed them and assisted in busting the union. This has proven to me that the American corporations and government are entirely out of touch with the reality of America. More proof that they are all a bunch of over paid elitists and have no business making decissions for the american people. I have a work friend who has been waiting on the same, simple, GM part for over two months. She was told the parts were available, but that GM couln't afford to purchase them just to have in stock. Why would anyone buy a GM or Chrysler car not knowing where the dealerships will be and if parts will be available? Yes time to buy, remember? It america still isnt it? SALE there is a great sale everybody you got to run out and see!!! At the end of my street there is a crysler dealer with lots of big shiny trucks for sale, the times have decided its time to markdown and move. Nope! In 1988, we bought a brand-new Chevey, Beretta, and in 1990 a brand new Ford Aerostar van. Both vehicles were absolute .... lemons! I'm checking the sales as we tweet! Jack I wish I could buy a new one of either. I currently own a 2003 Dodge Neon with 149,000 miles on it. I have read how these are such terrible cars, i bought mine as a previous daily rental to help restore credit after divorce. It had 22,000 mile on it in '03 when I bought it. The transmission went out at 46k. I'd say due to being a rental, and it cost me $200.00 on warranty to put in a new transmission. I have been checking my mileage lately I thought it was bad. And I still get 25.5 – 26 mpg around town and 33 on the freeway. Now please tell me what Toyota or Honda have over my Dodge? Only 1 problem due to prior abuse in 150,000 miles and 25+ mpg. I tell you these American's just can't build a car that is reliable and get's good mileage, or so I am told by the media. If only I could afford one! Neither Jack, I love Toyota. GM scrapped the electric car for the sake of making Escalades. Chrysler never even tried. I will consider buying from these companies if and when they get with the times. Great time to buy! Keep it in mint condition and in 20 years you'll make a killing on E-Bay: "Pristine example of America's squandered industrial greatness." If not now when? There might not be an opportunity later. We have two Dodge vehicles. I haven't yet heard if our local GM/Dodge dealer is closing down, but it's a shame if it does. No Jack I wouldn't buy either now, though we have had really good performance with our Dodge vehicles. Were very happy with them. Too bad these great car companies shot themselves in the foot but that's exactly what they did by ignoring reality. What?! Are you mad, Jack? I'd rather buy a Yugo. Heck no Jack. I'm as patriotic as the next guy, but my last 8 cars for myself and family members have been Toyotas, Hondas and Subarus. They've all lasted well over 100,000 miles, and have been reasonably fuel efficient. Why roll the dice just to let UAW workers get paid 95% of their pay while on layoff? That's a tough question I would love to help them but will they help their self have they learn from this? That is the problem too many questions. Yes & NO, if you are your own mechanic, then yes, buying a Chrysler or Gm would be sweet, you can have parts mail order to you when it's time to service -do it yourself. No, because having service problems might mean driving a good distance and causes you to turn to a local mechanic which could be expensive. Their charges will increase due to this knowledge or limitations, it's a fact, and times are hard. Chrystler, of course. Much more Worldly. Probably for some...but I gotta tell ya....as a consumer, the fact that there's a surcharge of three grand built into every American car to pay for medical and dental for retired union workers, medical and dental being two industries wildly overpriced and proud of their little overpriced worlds, pretty much cinches up the death of American industry as far as I'm concerned. Get medical and dental down, and everything else will get reasonable. Otherwise there's a zillion Asians willing to build a good car cheap. And I certainly am a buyer of good and cheap. as struggling americans, we can not afford to buy these cars, until the mfg companies make a car that stays on the road and not on the racks. these companies have to prove to us that these cars are worth buying. right now, a person buying one of these cars could lose their job because of absenteeism or late because of the car breaking down continuously. the mfg does not stand behind them and the person has to still make payments and repair payments and find another method of getting to work. this is way too much trouble. that is why many americans have brought foreign cars. Not right now, thank you. I have a car that is superior to anything foreign or domestic on the market today... it's paid for! What am I going to buy this new car with ? I can't buy a hot wheels toy car, but I would buy one if I could. I find this all very sad. Sorry, I just bought a 2006 Ford Taurus. It's all I can afford. Now that I have my bachelor's in mechanical engineering, I can probably just design my own, eco-friendly car without having to buy one from GM or Chrysler. These 2 companies will have to start mass-producing "green" cars if they want to remain afloat in the midst of this economic storm. Standing shoulder to shoulder with the Pres to tell me they are being coerced into doing what Honda and others have been doing for 20+ years is hardly the day to run out and buy one. When the guys in Detroit really come to understand that making an affordable green car requires more than changing the paint color, give me a call. I do think today is the day for GM & Chrysler to buy a Honda then take it part paying special attention on how to build one. It is time for Americans to get back to buying American, and the answer is yes, but only if you are shopping for an automobile. What better way to help our rconomy than to purchase products produced in this country? If people can't firgure out what has happened in the U.S. over the past fifty years, then here is a very short recap. In the lte fifties we started to import things into this country that was much more cheaply made, and cost less to make because these countries did not pay decent wages, some even used slave labor, but never the less these items kept coming in, and we kept buying them because they were cheaper than American brands. This has continued up until now. NOW is the time to go back to being more patrotic to our fellow workers, and to companies who employ our workers. People will argue that we need these other countries to produce for us, but they are lying to us. We didn't need them before, and we don't need them now. My question to you Jack is, if there are so many people now out of work and others still losing their jobs, even with incentives, how can people afford to buy new vehicles? I feel no pity at all for the money hungry auto giants – let them fail and possibly start from scratch and then maybe, just maybe they will understand that there is no need for big huge fancy showrooms and lots with hundreds of vehicles that don't sell. Go back to the ole days when mom and pop shops took care of you and made you feel welcome and wanted, not NEEDED! Individual attention and not feeling like just another number is why people went back to "Smallville". If we had all been buying American before, whether it be a car, sweater or whatever we would not be in the mess we are in now.I think it is time to support our country and BUY AMERICAN. Id say its still a great time to buy a used car. This is the problem for the auto industry. They make a car poorly and we'll get injured. If they make them too well we won't need another for twenty years. Personally Jack, I'd rather buy a Ford truck. I want a good solid vehicle with a 30 year leadership record and a genuine manufacturers warranty and not some bogus government warranty repair promise for a vehicle that never measured up to the Ford. North American Governments have chosen to aid these companies. Companies who with the advice of their executives ( their money I assume afforded them the best) chose their route for the last thirty years....rather than award those who responded to the world's need with this support..i.e. Toyota. North American Governments in their infinite wisdom showed shock and awe when the aid to these companies was merely divided by the executives. You ask..... would I buy a Chrysler/GM....burn me once shame on you, burn me twice shame on me...Toyota here I come. Jack: I would say NO--you would be buying a pig in a poke--try to get it repaired after you buy it--–TOYOTA is a better deal. I might have given them a chance, but the way they screwed over their dealers, NO WAY! Sending a letter, then, telling them they have to keep their cars! I'd have ask, if that's how you treat people for some have been dealerships since the beginning, how much respect are you going to give me for warranty work? I think I'll buy elsewhere. Any time all factors making a person positive and ethusiastic regard a purchase and assuming their budget can handle it the answer is yes. If not, no. We have owned GM vehices for years, and consider ourselves to be loyal to the brand. However, what guarantee would we have if we bought a new vehicle and GM went belly up? No way would we buy either a Chrysler or GM vehicle now. No matter what the deal. And, speaking of "deals", how stupid is the consumer to believe that if they get "a rebate or allowance of $6,000" when buying a new vehicle, that they are getting a "deal"? It does not take a rocket scientist to understand that even AFTER the rebate or allowance, SOMEONE is making a large profit on the vehicle! To me that means the vehicle was OVERPRICED by the amount of the rebate (at the very least) in the first place! Remember you get $3,500-to-$4,500 once they pass the clunker law. I figured I could get a new Pontiac Vibe for less than $10,000 as a result. But that law hasn't passed yet, but it's getting close. Take a Chrysler 300, Chevy Malibu, Pontiac G-8, or truck. They're the best they got. Buicks are okay, but you got to be old. Ralph, Yakima, Wa. I found it obscene that the car makers have squandered BILLIONS of dollars over the years. Then had the nerve to take bailout money from the tax payer. Their CORE BUSINESS. I think senior management of the BIG 3 auto makers took unfair advantage of the American Public by asking for bailout money. Thoose executives should pay back every dime thay took from the companies. And the BIG THREE should pay back every dime to The US Treasury. They put themselves in the current position, then they play on the sympathy of THEIR CORE BUSINESS to make up for their FOOLISH AND MATERIALISTIC life style, I DO NOT FEEL ANY SYMPATHY FOR THEM. They not only deserve to go into bankruptsy. They need to have the CORE WORK FORCE become CO-OWNERS with a right to say what happens with company revenues. Bought a car last year and it was a Honda. My first ever....I wanted a Saturn. I liked their dealer better....I just liked the Honda better...Seats fit me better. Hopefully I will not need a car for a few years tho this one is getting good use. I've been a GM buyer most of my life, now that GM will start buying them from China my days of buying a car from GM is over. I've become a Toyota buyer now. Now's a good time to buy if you're a risk seeker (gambler). I for one don't know what it means for the government to guarantee that warranties will be honored if Chrysler doesn't come out of bankruptcy or GM goes in - one way. Perhaps a few of the golden parachute crowd could purchase some, then donate them to teachers, firemen, or our servicemen. No Jack, it isn't. Chrysler would not honor a warranty plan that the dealer assured my husband was good when he bought a used truck. So long Chrysler. GM announced that they would be closing plants in this country but keeping plants open in Korea, China and Mexico. They took tax payer money and they're taking away American jobs anyway. I will NEVER by another GM vehicle. Jack, I have been a GM-only guy since 1990, having owned two GM vehicles. The first one lasted exceptionally long, which is why I bought the second one. The second one has not been so great. I've driven it gently and given it scheduled maintenance and it has still had many expensive components fail. I'm sorry to offend anyone losing those high-paid GM jobs, but I am absolutely done with GM. I have no interest in Chrysler either, especially now that they are merging with FIAT, which has the nickname of Fix It Again, Tony. I know what I'm talking about...I had two FIAT's in the 1980's. Fun to drive, but bring your mechanic and wallet with you! Sorry. I gave up on American cars about 20 years ago. The U.S auto makers are dying of pathetic leadership. It's just a shame that they have to take so many good workers down with them. I plan on buying a Chrysler in a few days. However, the deals are not as good as the news media makes them out to be. The car companies, domestic and foreign, that are not filling for bankruptcy all offer good deals. I think you should really go shoping before you ask such a question. I guess that I'm ahead of the pack! I bought a Chevy Malibu Classic , in January...and, the last time that I loved a car as much was when my late husband and I bought a spanking-new Cadillac, nearly 30 years ago!! GM rules!! Never was the time, obviously. Chrysler dealers have always been the only ones to take Chryslers as trades... Just moving inventory: lot to garage to dump! It's probably the BEST time to buy a Chrysler or GM car, because the cost and financing will NEVER ever be lower than this, and the government has already promised to honour all warranties on these vehicles. Why would I buy a substandard car just because it is cheap? That is a poor investment. With the economy and personal finances as they are, I am only purchasing items that are on my "must have" list. So I will limp along with my current automobile. I hate to think about the people in service, body repairs, and sales departments that will be joining the unemployment line from these closed dealerships. The domino effect of the recession is still taking its toll on American workers. Many potential drivers are currently banned from the roads due to 'suspended' and or 'revoked' "driving privilages." America needs to recognize that driving should be a right and not a privilage. Before cars American's transported themselves on horseback. Maybe a plan to link getting one's license back and buying American made cars (i.e., Chrysler or GM) we could create a financial boom within our economy. We must understand that some of the practices of the past helped us get in this ditch in the first place. This is the time for creative ways to dig ourselves out of this meltdown. No. GM and Chrysler cars still have low quality. No matter how low the selling price, you still spend more in repairs down the long road. I rather pay more for quality on an import. No. I would wait until the waters are calm. Bankruptcy, warranties, mergers, discontinuing models, and now new fuel efficiency standards. I would not purchase a vehicle that would lose most of its value immediately after purchase. Absolutley, and I can't wait to whack them with a low ball figure. The big three screwed up big time this time. They built all thes huge gas guzzling vehicles and poured no time or money into building greener vehicles. Talk about lack of forsight. It's a good thing they are not in the weather forcasting buiness. No. Where are you going to get parts in a few years? What is the resale value going to be? And also, I wouldn't have bought a GM or Chrysler or any American car or truck at any time in the last 30 years anyway. Sorry, I don't like em. I think so. Just imagine the resale value if GM or Chrysler no longer existed. I wouldn't mind reselling a rare Chrysler 300 ten years from now! Yes, now is the time to buy a Chrysler or GM car – they make great boat anchors and fishing reefs. If Chrysler or GM would offer future hybrid or biofuel upgrades with any purchase, I'd bet my 1994 sedan that sales would go through the roof! Yes, it would be a perfect gift for a graduating senior, and for the U.S.A economy Jack. As an American, every day is a good day to buy American unless you want to support foreign companies and foreign governments. American cars are an excellent product. I have had both in the past. studebaker, hudson or a packard! No Jack, now is the time to buy 2 or 3 cars if you can afford it. Deals are crazy and people just want to clear their floors. If people buy enough Chryslers or GM vehicles now, you better believe someone is going to jump in the parts market if either company folds. Heck, get enough cash and you could start your own bumper rink. It’s going to be a better time to buy a car from Chrysler or GM. Sooner or later, dealers will be desperate to make a sale and lower their prices drastically. We should expect seeing great deals. Who cares about the auto industry? As long as everything’s cheap, I’m happy. Let me get this straight. I think our unborn taxpayers already are billed for one of each without getting the merchandise. Now, I am supposed to go out and pay for a third one because it could be " such a deal"? I think NOT. I was only involved with the early Computer. You mention spares? Spares come from bancruptsy. All that is left... Is Spares. After Sales Service, is your biggest problem. Dealers cut their own throats. Would you buy a nice shiny piece of dog crap that was being sold for a dollar for 10 cents? There's no crap worth buying. Even at a steal. I worked for Toyota for 6 years and there business model, product and treatment of their employees far exceeds that of American brands. Toyota and Honda sell more cars in the US with less dealers. Americans are moving away from the era of the savings, rebates, interest rates and other incentives to wanting fuel economy, technology, reliability and resale. The American brands knew what would happen if they did not change in the 1970's, but instead tried to put profits ahead of principle and now have run out of countries to outsource to. Are you kidding me. This is all to do with the uaw. I wouldn;t buy a Chrysler or Gm car. Get rid of the union and maybe they would be able to compete with the auto carmakers. I"m in the market for a new car and I am buying a Honda. Time to buy a Ford. Let's not forget who didn't come to the table for taxpayer cash. Highly discounted Chrysler and GM cars can make up for the potentially higher cost of ownership. Now that they're all going to be made in China of asbestos and nuclear waste covered with lead paint, better get your hands on one made in the USA if you can find it. It'll be a collectors item! Jack I wouldn't drive a Chrisler or a GM product if it was free. I have been driving Toyotas for the last 25 years. By the way I have put less than $100.00 in repairs in those 25 years. why would I but a car from the same people that took our tax dollars, to help save their companies, and then turn around shutdown many dealerships putting the same tax payers out of work, tell the two car makers to sell their cars in China, if they would take them? Chyrsler, GM and Ford are American car companies who do not get the same tax breaks as Toyota, Honda and Kia when they open a facility, therefore, its cheaper, they don't spend as much paying their CEO and executive so its cheaper. Americans are not loyal about anything, we go to to Wal-Mart to buy China goods, we go Japanese and Korean cars makers now because they offer better quality and longer warranties. I'm waiting for GM's made in Communist China "Mao Mobile" compact. WHY the US Government is giving ANY money to a company that wants to outsource even MORE jobs than they already have in the last two decades is beyond me. I will buy from a auto company that makes cars and trucks HERE in AMERICA even IF it does has a Japanese name. Yes, now is the perfect time to buy a new vehicle, however, the people who really need them are out of work and money??? Jack: I don't think so---try getting the required service after you buy it from the failing dealerships-–better off with a TOYOTA! even if you don't want to believe it.Its NOT the economy that killed these companies it is and was really bad leadership. I would be less inclined to buy a Chrysler than a General Motors product. Chrysler nearly failed once already and if it were not for the government bailout Chrysler would have gone the way of the Edsel. On the other hand, I really don't think that the federal government or the state of Michigan will allow General Motors to fail. Too much is at stake for the nation to allow General Motors' research and development arm in Warren and its proving ground in Milford to collapse. If I were a betting man I would be buying up stock in General Motors. Sorry, I've always been a die-hard Ford/Mercury person and I'm proud of Ford for weathering this economic storm. I do hope GM and Chrysler make it through, however, I do hate that GM has mismanaged themselves bringing the industry down. How is it that Ford got it right and GM didn't? Yes, if you have a job,it's the best time to buy a new car. And if the White House can get the clonker bill through (4500.00). It would be a steal to buy a new car. No.....Not in the past, not now, not in the future. The deals may seem palacious but owning one of these vehicles is indeed falacious. Why invest in something that barely has a life past three years and inefficient in every aspect of its design and performance? I hope they have learnt their lesson. It would be a good time if I get a job. But no one will hire someone who has health problems and I can't get my health problems taking care of without a job. So much for that new Chrysler or GM car. The answer to the question depends on your definition of the word "deal." I hate to say this because I love my country and understand these car makers support entire communities with their product, but they are long overdue to fall. These people have manufactured a poor product for far to long. My heart goes out to the workers and dealerships who's lively hood depends upon GM & Chrysler success. Unfortunately for them that is just not enough to convince me to buy a poor quality product. I think dinosaurs were a really awesome species, but they to met their bitter end, as will failing companies who consistently put out a poor product – no matter their country of origin. Period. Jack I think it depends on how long you plan to keep your new car. If you buy, then please drive it until all the wheels fall off, or you will regret the investment at trading time and please don't look on Kelly Blue Book, it's a joke! of courrse that's what most foreign auto dealer will tell you. If only I had credit and a job that pays. ...actually I ride a maxi-scooter. It's these two wheelers that havbe the potential to put all auto makers out of business. I never waited till now to low ball a car salesman. This is not new. I'm not in the market for a new car but if I was I would have no qualms about looking for a good deal at one of the Chrysler or GM dealers that is scheduled to close. The idea that you might not be able to get parts if the company goes out of business is silly. Most parts are supplied by the aftermarket parts market. I can get most parts for my old 1971 American Motors car at any parts store and look how long ago they went out of business. I would buy anything but a Ford, Lincoln or Mercury car or truck. I bought a new ford 2 years ago and it was a big piece of crap. I traded it in for a Chevy. Considering how GM dealers have to get rid of their stock by this fall, I'd say that this is the perfect time to buy. The Chevy dealership where I live received one of those letters last week to close down, and unfortunately, we don't need a car right now. These people have been here since 1927 and we have bought 6 cars from them in 18 years, so it's a real shame! No....Not in the past, not now, not in the future. The deals may seem palacious but owning one of these vehicles is indeed falacious. Why invest in something that barely has a life past three years and inefficient in every aspect of its design and performance? I hope they have learnt their lesson. Maybe it is Jack, maybe if I buy a chrysler or GM automobile maybe just maybe I'll be able to afford one or other now that all this is going on then again maybe not, what do you think Jack? Jack, Absolutely not!! After all the bailout my tax dollars will be funding .....I should be presented the keys to a GM car or truck of my choice, so should every other American that had to give up family neccessities to save their backsides! I don't see a problem with buying a car from GM or Chrysler. The government will honor the warranty. Now might be a good time to buy now that GM and Chrysler have dropped over 2000 dealers possibly for half the cost of a Japanese car. In the meantime, Chrysler and possibly GM can get rid of the union so they will be better able to compete with foreign Car Companies who do not have them. Jack, I wouldnt buy a chrysler product when they were not going in bankruptsy. Their cars were junk then as they are now. With the government gauranteing their warrantys you will never get any service for warranty repairs anywhere. BUY A HORSE!!!!!! I would Jack, but like to the out of work auto employees, I too, lost my job due to nationwide store closings. So I don't even have the cash to folk over for the extremely cheap gas guzzlers. I'll ride my bike for now. Now would be the WORST time to buy a GM or Chrysler car. What happens when you need it repaired? Will you be able to find a qualified techinician? Will there be the parts you need? I've been in the automotive retail business for 32 years. My training company has trained about 15000 car salespeople and managers. At the end of the day, it is what it is. We're going to make every deal that makes business sense, and we're going to pass on all that don't. So you can make any 'low ball' offer you want. Car buyers do this once every 3 – 4 years. We do this 3 – 4 times a day. Who do you want to bet on? Good question jack.......yes! There will always be parts, mechanics or ways to fix a car. The process these companys are going through are necessary to adjust re focus and move forward. A investment in enginuity in american made products are intagral as far as US productivity is concerned. If I were in dire need of a car; AND had enough cash in hand or room in my monthly budget; AND had a job that I felt secure in; AND didn't take a major hit on my retirement fund SURE I'd buy a car today. But I wouldn't buy it just because it was cheap. I'd only buy it because it was a good value and it fit my needs. That's called being frugal. Frugal is an old word that many folks are only learning the meaning of today. Too many people today don't understand what being parsimonious is all about. Yes. I want an OBAMA MOBILE. It runs on government money, it puts out a flowery smell instead of gas fumes, it costs me NOTHING, as our gloriuos president will make sure someone who is rich is paying for it. Just one thing. It only comes in one color. Jack: My household stopped buying US cars 10 years ago and don't plan on buying them in the future. The US auto makers broke the social contract with their consumers. It's time for the car manufacturers to build quality, efficiency, style and fundamental improvements before we'd think of going back. I wouldn't take a car off GM, Ford or Chrysler's hands even if it were free. G.M. products= No thanks. I've had a few of those working mens cars when I was younger. Trouble is I was always working on them. I'll stick with my Ford Truck (best selling truck in america for many years). And I love my Mustand convertible. Not now . No way. I'd like to see a whole new auto industry take over where these two failed to meet this county's needs. If the Japanese car makers can make a car that people like, why can't the auto industry in this country do the same????? I used to buy only American made cars, but their poor attitude about quality, service, and style, made me try a Nissan and I have never looked back. Since that Nissan, I have had several Acuras. They are more "Made in America" than many of the "Big 3" and their quality is amazing. Their employees take pride in their work and care about a fair day's work for a fair day's pay. Most of the Big 3 employees only care about what the UAW can get them. Buying a Chrysler would be like owning an Edsel. The brand is finished. They were never good cars to begin with. Constant and guaranteed repairs and they don't last very long. The starters sound like metal grinding on metal. Whatever discounted price you pay today, chop that in half or more in 60 days. I will gladly pay more to own a Nissan. My Pathfinder is 10 years old and has only required routine maintenance. Why can't American auto manufacturers build a decent car? If not now then, when? Now is the perfect time to buy and force a change. American auto makers got themselves into this mess by being bedfellows with big oil, which even now continues to be an obstacle to conversion of the industry to green energy. All that being a given, if they are to survive we must first support these companies by purchasing American made products. It also lessens the impact of the recession with those jobs saved. Secondly, we must force them to make the adjustment to what benefits us and not the bank accounts of the oil sheiks in the middle-east. Some of the very money spent by American citizens to fill those gas-guzzlers are being used to supply weapons to middle-eastern terrorist that kill our soldiers. Obama's approach is something that should have been done decades ago, after the oil embargo. And to the republicans, who offer no answers, just criticism regarding the government having stakes in these companies: Deregulation under your watch has lead to this mess. In a perfect world, where everyone plays "fair and honest" you can let the market correct itself. But, we don't live in a perfect world. Not even close. Sometimes you need to put certain companies under controls, restrictions and reorganization because everybody doesn't have the American public's best interest at heart,only their pocketbooks. I have no sympathy for the American auto industry and will not be buying a Chrysler or GM car or truck! I also don't want the government to give loans to these people, they are responsible for their own demise through the manufacturing of gas hog SUVs and trucks and cars of high MPG usage. Should they desire a loan they should get it from the oil companies, especially those that have declared record profits thoughout this entire economic collapse. good deals are out there and not just for american car models. Absolutely not, there needs to be across the board pricing put on the dealers' auto sales to protect the buyer, instead of let's make a deal. Otherwise, we will see unfair sales practices that cannot be resolved because the dealer is out of business. Absolutely not. Chrysler and GM never improved their cars and their services was terrible. Buy, Honda, Huyndai, Lexus, Toyotas, as they are built here in this country. Drive off the lot with these cars and you never have to come back. Drive off the lot with Chrysler or GM, you have to take it back umpteen times. YES. It is a limbo time. Prices are still dropping (definitely before year end to get the tax credit). But, the newer cars that are fuel efficient (such as electric or with high gas mileage, etc.) will be out within the next few years. So, debate... NOW or within next 2-3 years. Wait or not? What a dilema!!! It has always been time to buy AMERICAN, unfortunately too many people want to impress their friends, neighbors and/or associates with that overpriced foreign crap. Maybe those bumper stickers that read: buy American...the job you lose may be your own, is coming to pass, I certainly hope so. I own a Chrysler Concorde that has performed wonderfully for 15-years, and I only have 5 more years to go to win my bet. I bet a Lexus owner (friend and client) my Chrysler would last 20-years, no problem, runs and looks like new.. Three, or is it four foreign cars later and $250k, what does he have that I do not have? Oh, that would be $250k. No, we should buy scooters or electric golf carts or bicycles. If we can stop buying stuff in this recession, we can certainly stop lining the oilmen's pockets. That should be our first priority. I would guess so unless you are in our shoes, where we are driving a 89 Buick and mom is retired with really nothing in her savings any more and Myself a 58 year old disabled vet that is trying to pay off his credit card debt that has been unemployed sence 2000 . Sure Jack, Run down to your local dealer and buy a new car and watch as he closes his doors and now you have to travel for service to the big dealer which does not give you the time of day because you didn't buy there. Oh yea the Government is going to handle all your warranty issues. Great! Chrysler? They are the new Rambler. I don't think I would be able to bring myself to purchase either at this time. My Chrysler has a tempermental electrical system (not a repeat performance, I'd say) and my Chevy was a real bust 25 years ago. My husband has a Prius and loves it (Comfortable and 53 mpg to boot!) We rent a Sienna each year for vacation and a dealer told me they're going hybrid in 2010. That's what I'm waiting for. If U.S. automakers want me to buy their cars, they need to step up to the plate. Buying a new GM or Chrysler would be like buying it twice. It was already paid for by the bailout from MY TAX DOLLARS!!! I'm 48 years old and I just bought my very first 'foreign' car. I've been wanting a Toyota Prius since they came out. I waited and waited for one of the Big 3 to come up with something comparable...but I could wait no longer. The Prius has been out since I think 2001 so I waited eight years. Being from Detroit, I have actually lost friends and clients because of my decision to purchase a Toyota. I can't believe the mentality of such folks. I thought this was America, the land of choice without fear of recrimination...hmmm, maybe we need to work on that a little! I love my new Prius, Jack!!! Jack I am from Detroit, Michigan and ofcourse we want all Americans to buy a Chrysler, GM or a Ford, but, as painful as this might be, the decline of our industry was inevitable, the financial collapse just sped up the process. I just wish the rest of the country had more compassion for what is going on here in Michigan, it is truly devastating beyond anything that this country could have seen through a natural disaster like Katrina. So if you buy American, you really are saving a city and a state. Its time we acted as a nation again instead of a faction of states against one! Buy an import, buy a Ford. What's interesting re GM & #3 is simply the union(s) aren't to blame considering senior management over the years. Actually, the union(s) did their job and obviously too well. Management caved in over the years based on continued profits out pacing wage & overhead. It makes no sense even though prices are falling. They are terrible cars and will cost more to repair in the long run. What good is a good deal on a car when are stranded on the side of the road because of poor engineering? These guys need to get their act together. Jack – If you want an American made car then you'll have to buy a foreign model made in the U.S. since most of GM, Chrysler and Ford vehicles are made outside of the U.S. now. What an oxymoron. Don't be afraid to go in and madly bargain. That's what I plan to do - my vehicle has 90+ miles; it can't hurt to see what kind of a bargain you can get. Your best bet is to wait until about June 6 and see what happens. A guy I know has a lease running out on his Cherokee Jeep; maybe he can buy that vehicle for far less than what he would have had to pay once the lease is up - the dealership he leased it from is closing. I have purchased my last car that does not have the ability to refuel by plugging it in. Didn't Chrysler state that they WON'T be repaying the billions of dollars of taxpayer bailout money? They're already off to a bad start. Let 'em sink. I would not buy a GM or Chrysler gas guzzler under any circumstances! I would not even accept one for free! I'm proud to say that I'm a 33 year old who lives in Chicago and has never had to own a car. I never had to go invade Iraq for oil. I applaud myself with a pat on the back. Yes – if you want to own a collectible car. Eventually, these brands will disappear and you will then be the proud owner of a rare vehicle, the modern equivalent of the Edsel. Enjoy! William Miller, the 350 Org is a joke. If you kill off all humans and all the CO2 they produce, the amount in the air drops by 0.17%. Stop being a parrot and reguritating every liberal "sky is falling" comment you hear. As for GM, never. I will never support the UAW. I purchase used BMWs (made in the US by the way) that are better quality, longer, have better warranties, and are way cooler to drive. The only GM I'll buy is an old muscle car because it retains its value. Finally the United States of America has a leader that does what is best for America, rather than what is best for the auto industry. Kudos to a man who finally reflects common sense! If Obama can pull off healthcare reform, he will be President for Life!! Not me, Toyota or Honda for the new set of cars. No more GM for me, when they terminated Saturn. It's time to buy an American car, but buy a Ford product. The American consumer should invest in the company that is going to grow jobs in the future, not throw away money on failing companies. If the Federal Gov't had invested in Ford, rather than throwing away money on Chrysler and GM, they would have created more jobs in the long run and gotten repaid. Instead the gov't is throwing good money after bad, and if they continue to subsidize Chrysler and GM, they risk undermining all of Ford's good efforts. In addition to Ford, I'd rather see the money spent to encourage Toyota, Nissan and Honda to create more jobs in the US instead of seeing GM ship jobs to China. Both the gov't and the American people need to get their priorities straight. Where are these bargain basement deals I keep hearing about in the news? $4,000 off a $30,000 car doesn't seem that much better than the deals they had when the economy was booming. I tire of hearing about the poor quality of US made cars. I am driving a Chrysler that is 7 years old and it has had less problems than my friend who drives a Lexus. If it wasn't for the current state of the economy, I would be quite happy to buy another Chrysler automobile today! Blame it all on the unions! They have ruined the American car industry. No unions attached to Toyota plants here in U.S. and see how successful they are. I am proud to be an American and would buy American if I liked. The great thing about being an American is that the choice is mine. U.S. car manufacturers will only succeed when the unions are taken out of the picture. You want manufacturing to stay in the U.S., stop the whining selfish unions. They served a purpose decades ago when they were created but now they are breeding lazy, whining, selfish workers run by a "mafia" if you will. My current Japanese car was built in the US by American labor and I'd buy another in a heartbeat. But buy GM or Chrysler – no way ! My last GM vehicles were the epitome of unreliability, inefficiency and poor quality. I learned how to drive with a Mitsubishi. I bought a Dodge Intrepid on a whim a few years ago but had to get rid of it quickly because of costly trips to the dealership for repairs on things my friends in the automotive business said had no business failing on a 2 year old car. Now I am upside down with the negative equity and back in a Mitsubishi. My Lancer has yet to give me any trouble at all! Never again. A company that puts out fault product deserves to fail.. I wouldn"t have a chysler if they wanted to give it to me. I had one and it was the worst car I've ever had-bar none. Kevin in Fl had a good thought. Maybe the Government should buy all the cars and give one to each family. We are paying for it one way or another. Meat just bought a 92 Chevy that averages 27 mpg (invested a whole 500 bucks). I'll be driving the beater until Ford's Fusion Hybrid (half the cost of a Prius) is readily available. No American should replace his everyday transportation with a vehicle that is less fuel efficient.